Leaves hair richer, more radiant...and anything but dull. Conditioner: 178 ml ℮ 6.0 fl. oz. 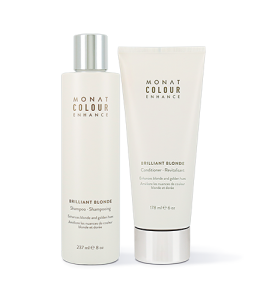 To learn more about Colour Enhance Beautiful Brunette Shampoo and Conditioner, please contact your MONAT Market Partner. 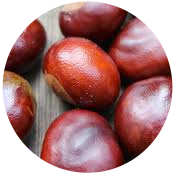 Enhances brown and honey hues. Specially formulated with a complex blend of botanical actives and natural phytopigments derived from Horse Chestnut Seeds, Indian Walnut Leaves and exotic Peruvian Rhatany Root to boost lustrous brown highlights and beautifully enhance color. Perfect for daily use. Shampoo: Emulsify in hands. Gently massage into wet hair. Lather and leave on 1-2 minutes. Rinse well. For optimal results, follow with MONAT Beautiful Brunette Conditioner. 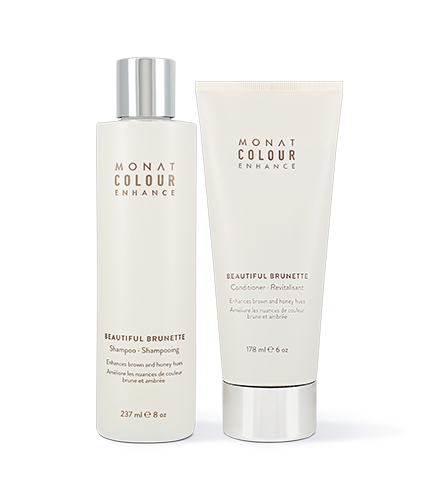 Conditioner: Shampoo with MONAT Beautiful Brunette Shampoo, rinse. Apply MONAT Beautiful Brunette Conditioner, work it through to the ends of the hair. Let sit 1-2 minutes. Rinse hair thoroughly. See individual packaging for ingredient listings.